When you hook up with a woman, sometimes you find things left behind. Your only choice is to give her belongings back, but how to go about it? It’s an awkward situation, and sometimes, it’s better to just be honest. Then again, sometimes the best way to approach the situation is to be more tactful and figure out if your hookup really needs her abandoned items. Here are a few tips from us to help you out on possessions she left that you need to safe guard, and possessions you can forget about. We don’t mean she literally leaves her grandmother’s diamond ring – hopefully she hasn’t worn a precious possession on your date, or else that means she’s hoping for more. If your hookup does leave something of value behind, it’s time to contact her. E-mail her and just say she left someone thing valuable at your place. Chances are she’s probably already realized it’s missing without a trace, and will be so relieved to get her valuables back she won’t be pestering you for a second date. It’s an awkward task having to contact your hookup, but sometimes it’s the only thing to do. Don’t call her under any circumstances. If you can, stick to e-mail or Facebook. Send her a message on a social networking site or an e-mail, and let her know. Be casual about it. You don’t even have to acknowledge you know it’s hers. Instead, mention it and say that it looks valuable, and you’re wondering if it’s hers. That way, she doesn’t assume you’ve been thinking about her or that you knew it was her possession. Don’t let her come to you, because then she’s going to want to stay and linger. Be friendly, but firm. Pick a place to meet that will be brief. Avoid bars or places where the main point is to socialize, like a train station or a public town center. If you go and meet up with her at a bar, she’s going to want to get a drink. If you’ve already hooked up with her once and don’t want to again, avoid this scenario. Just play it cool and bring her belongings. Don’t go to great lengths to secure her stuff. 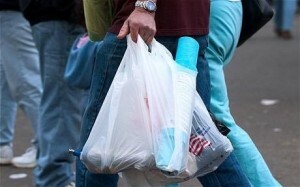 It’s fine to put it into a plastic shopping bag – depending what it is, of course – and return it. Making a show of what you found implies that you thought about it for a long time. It’s better just to make a clean break. If she left jewelry, don’t give it back in an elaborate package. Throw her jewelry into a plastic bag and leave it at that. Be cautious when handling valuables, but don’t go too much out of your way. Basically, any extra effort on your part is going to make her think that you’re interested in more. Give it back and get out.